A tractor trailer driver in West Virginia was cited this week for leaving the scene of an accident that left the woman driver with minor injuries and a severely damaged vehicle. The wreck happened at 11 AM in Marion County WV on I-79. State police stated that the car driver was traveling north on I-79 and she swerved to avoid garbage in the road. The tractor trailer driver was behind her and could not stop in time, and tried to pass her. He sideswiped the car and pinned the car against the wall. 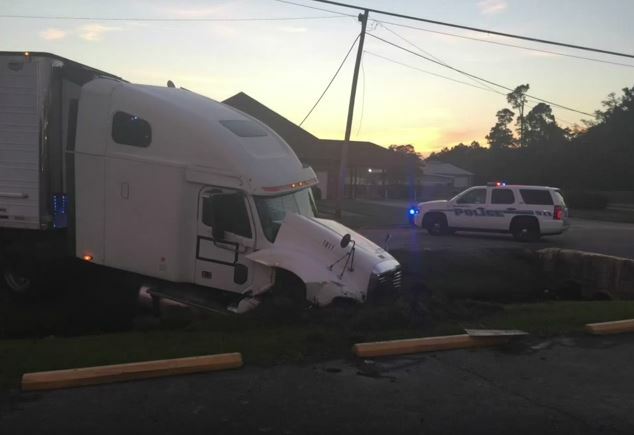 Police said that the truck driver continued down the road and he was eventually pulled over by police a few minutes later. He was cited for leaving the scene of an accident involving injury and property damage, and for failing to give aid. We are relieved that this careless accident didn’t involve more serious injury to the car driver. Many car drivers involved in a crash with a negligent truck driver often end up with life-altering injuries. All truck drivers need to be certain that they are not following too closely behind cars, as any obstacle in the road can lead to needing to brake suddenly. Our trucking accident law firm worked on a case that was settled for $3 million recently that involved a cement truck broadsiding her car. Unfortunately, she suffered a severe concussion and brain injury that left her unable to work in accounting, her chosen profession, or to continue to work at her parents’ restaurant. That case was very complex, as are many truck injury accidents involving head trauma. Those injuries heal slowly and have many life-changing effects that are difficult to quantify. That is why anyone who suffers such a truck accident injury should work with an expert attorney who has years of experience in getting large settlements in such cases.